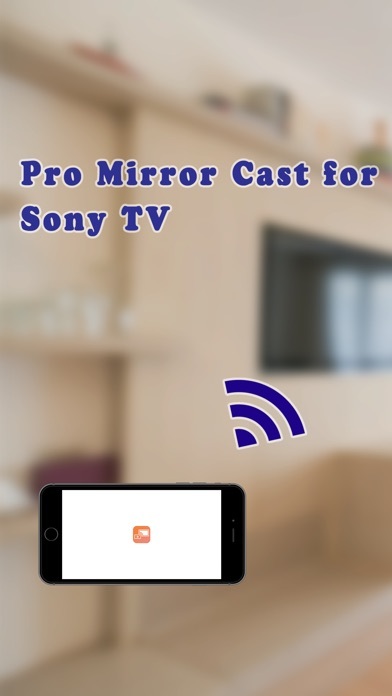 It's easier now than ever before to mirror your iOS devices to your Sony Smart TV with our app. 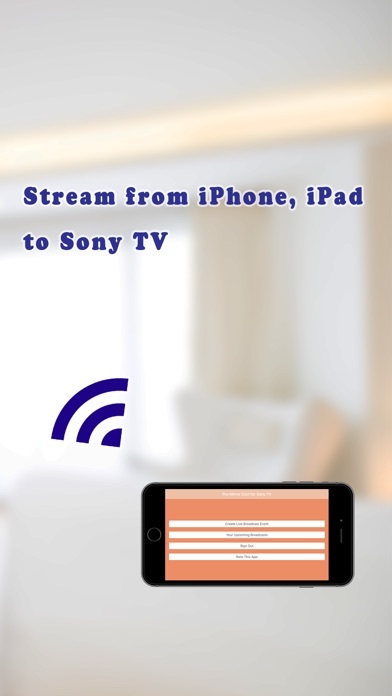 Stream from your iOS devices to Sony TVs. With these steps: 1. Log in with your information 2. 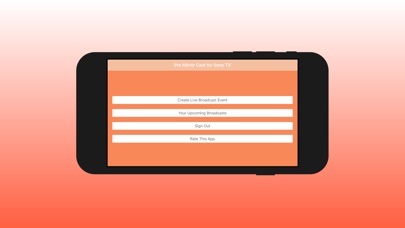 Create a broadcast to your TV 3. Go to your upcoming broadcast and stream 4. 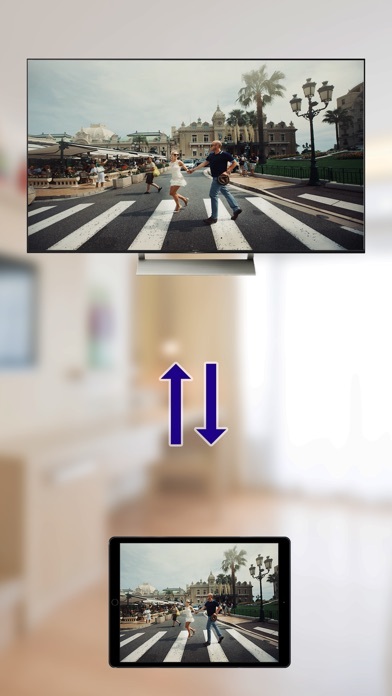 Open youtube on your TV 5. Look up your livestream Enjoy!!! They force you to login to google to use the app. I stopped there. It’s junk. Have no idea how good it is...will come back. Let’s see if this works. It made me rate it first. This app is great. I am so glad I bought it.